My son has struggled to have nice handwriting for a while. We have tried cursive books and we’ve tried printing. A few years ago, he was diagnosed with dyslexia and dysgraphia so I knew that there was a reason behind the struggle. Eventually, his handwriting did improve but there were still little errors he was making that I longed to help him overcome. I’ve also always loved calligraphy so I was excited for my son to try it using Perfect Reading, Beautiful Handwriting from Everyday Education, LLC. This downloadable book is divided up into six chapters and a total of 60 lessons and then a section of practice pages. This book is a combination of phonics lessons and handwriting and as it states in the introduction – it is driven by simplicity. What is great is this: this book can be used for children just learning how to read, children who are struggling readers, and those who just need to improve their handwriting. I love that there are multiple schedules available on page 7 of the book. 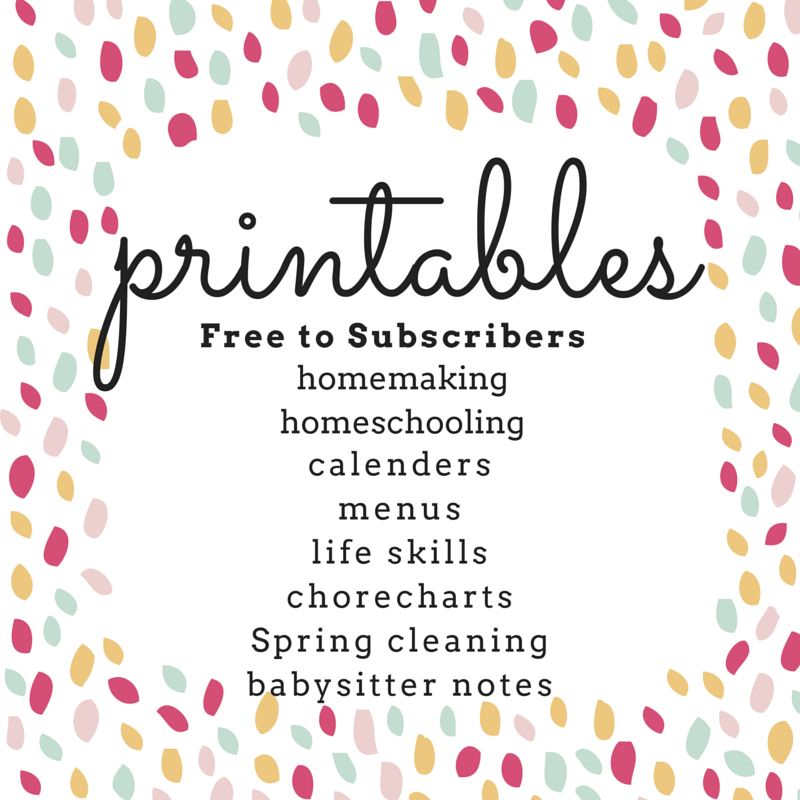 This will help you decide how to use it for your family and your student. For instance, it offers advice if you are using this with a very young student or with one who has learning challenges. There are suggestions for each day of the week with some days only requiring 5 minutes of learning time and others 10. There are also guidelines for school-aged students who are not yet reading and a separate section for those who are already reading. This covers any need you could possibly have. Most of these suggestions are for 5-10 minutes a day (but the schedules tell what exactly those time blocks will consist of) except for the students not yet reading – the suggested time is 15 minutes for most days for those students. The introduction consists of a lot of great information you can utilize as you teach your students. 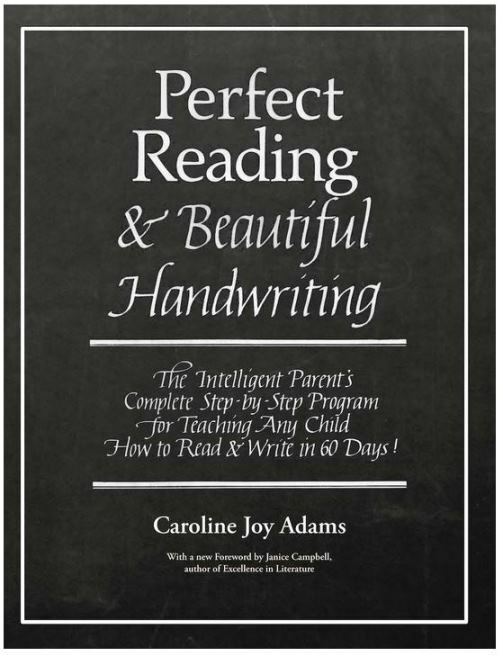 It goes over the four basic ways you can use this book such as teaching young children how to read and write, how to teach children with reading difficulties to read effectively, teaching a child to have fast, legible, attractive handwriting, and even to teach yourself to have beautiful handwriting! 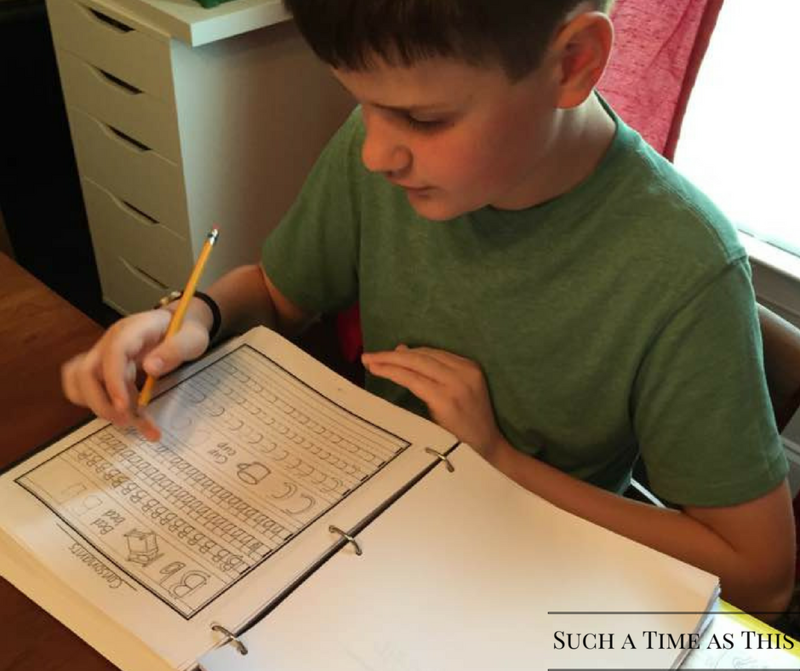 My 6th-grade son does struggle with language arts because of his dyslexia and dysgraphia. We decided to use this book primarily to strengthen his handwriting skills. I felt it would be beneficial for him to re-learn how to make beautiful letters because that was an area where he really struggles. My son and I have been working through the basic letters of our alphabet. I love that he is discovering for himself, using the written letters in the book and the arrow guides provided, which letters he has been writing backward or even not forming totally accurately. Because he is at an older age, I was worried that this would become an even bigger issue but thankfully, possibly because of his age, he is able to use this book fairly independently and learn how to form the letters correctly. I do like that this book contains some simple reading and spelling practice. This sets it apart from most handwriting books, in my opinion. For instance, in chapter 3 there are lists of words that contain the short a sound and the short e sound. This is followed by a series of sentences which have been written out. There is space below each written sentence for the student to rewrite the sentence. 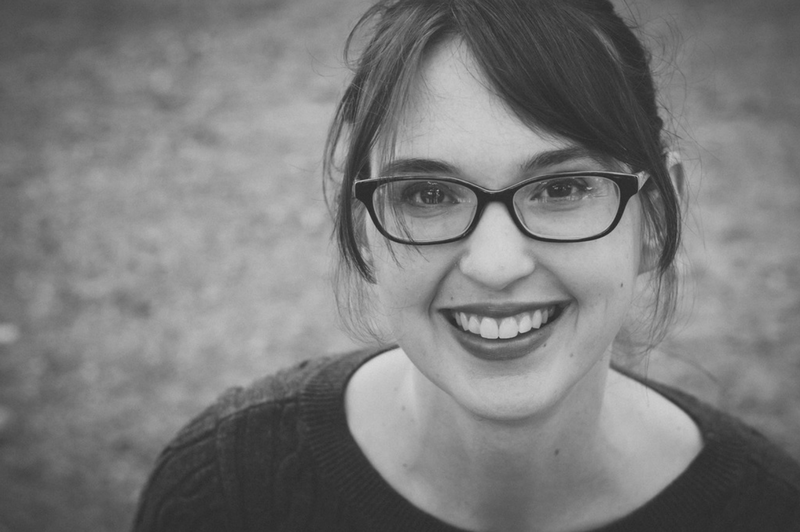 Because we use the Charlotte Mason Method of homeschooling, we tend to do copywork every day. This can easily be substituted for copywork until your child’s handwriting (and reading) is better. This curriculum does provide many sentences to copy, it is just that these sentences make sense because they all contain words that are being taught with that lesson. The handwriting practice section includes copywork from a famous poem, “The Night Before Christmas,” and also covers information on how different types of italic writing look, slanted letters and joined letters. This is a complete curriculum that could easily be used to teach reading, writing, spelling and handwriting! I’m very impressed at how easy this is to teach and how simple it is to include in our daily lessons. I also love that it so much easier for my son to do than cursive was. For some reason, he really struggled with it but this italic style handwriting was a winner! He seemed to really enjoy using it and his handwriting has already improved! 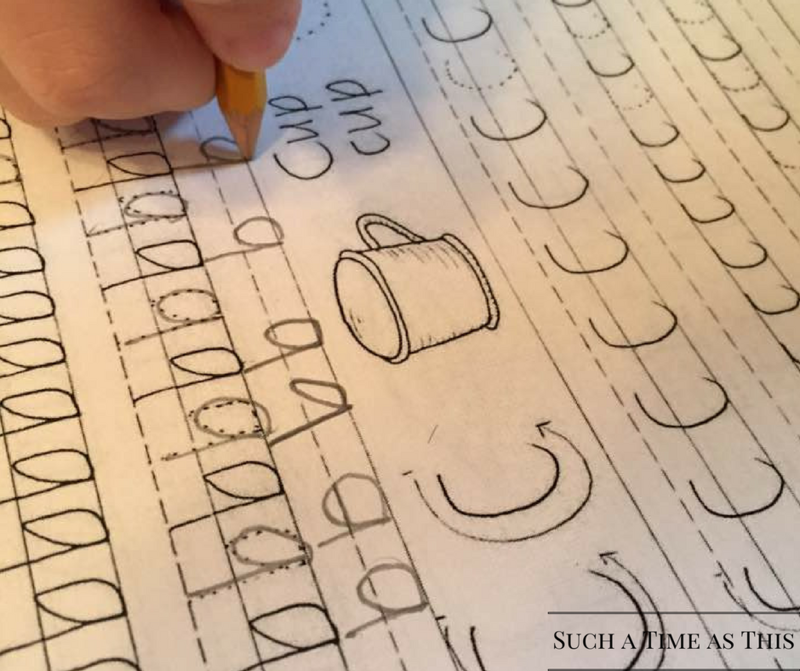 I definitely recommend trying out Perfect Reading & Beautiful Handwriting in your homeschool!